Seems like a great idea for the guy that has to have a nightforce. However. Its gonna be hard for it to compete with vortex viper pst which can be had for the same price in front focal plane and 24x magnification. just my 2 cents. Editor: The second focal plane has the same size reticle at all magnifications. 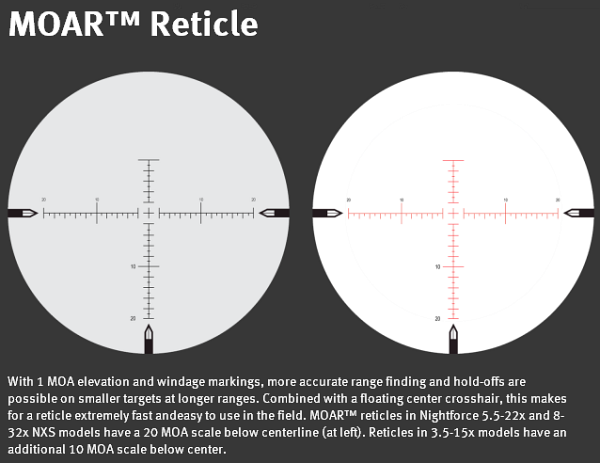 That is more practical than FFP for many applications — if you don’t need to range with the reticle. 24X is good for target shooting — but more than is necessary for most hunting uses. please make this more affordable line with some higher magnification options. I enjoy shooting long range and prefer 25-32X. I will most likely end up with a NF BR line scope on my next bolt gun but more options are always nice. I’d be interested in one of these if they were available with mil-rad reticles and knobs. I’d really like it were it FFP. Also, to Nick, FFP is not the “same size reticle at all magnifications”. It appears the same, but as you zoom, it shrinks relative to the target. It does not cover the same area at all magnifications. A FFP, for example, covers say .05 m-Rad if you’re on 5x or 25x. Where as were it SFP, it may cover .05 m-Rad at 25x and .5 m-Rad at 5x—obscuring a lot of target area. 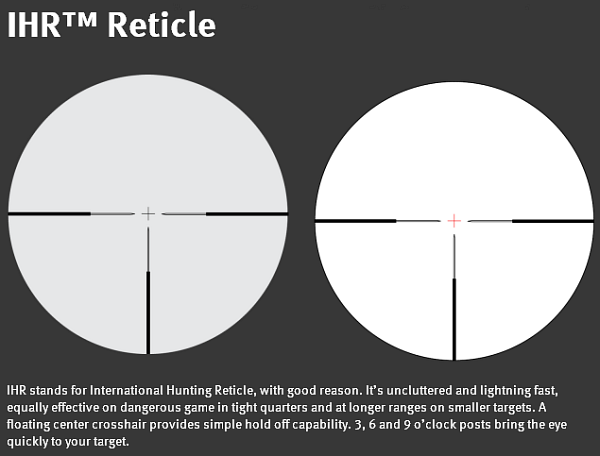 Those were the editors comments regarding reticle size. I personally like ffp because I can quickly match my distance from the range finder to my drop chart. no matter what magnification the conditions allow me to use I know what each subtension is. Theres no guessing am I on 10x is it 11 etc. As technology improves I believe second focal plane will be left for high magnification bench rest rifles and nothing more. That is perfect! I’m getting one for my 22-250, will be awesome for shooting rabbits and foxes at night, 56mm is gonna be nice and bright. We do a lot of spotlight shooting and night here in OZ. Need a tough, bright, illuminated scope and that MOAR reticle will be great for long shots too. There is no comparison between NF glass and the Vortex PST glass quality. If you are looking for a specific feature set, these are apples to oranges comparisons. As far as optical quality, NF all the way. All my PSTs have been replaced by two NXS and now an SHV. Met all my requirements for features for a hunting scope, target and long range got upgraded to the NXS. I would like to know the difference between the Nightforce MOA 1000 and the Nightforce SHV? The only difference I can find is long range dots on reticle and no zero Stop is that it?